The 2014 presidential elections in El Salvador will decide whether the country continues down the path of social investment and economic reform begun in 2009, or whether the country inexorably returns to the neo-liberal model of governance. The presidential campaigns hardly have begun, and already an astute electorate, regardless of party affiliation, is seeking to participate in more democratic methods of choosing candidates. The San Salvador daily, La Prensa Grafica, noted in its survey of the electorate taken at polling places during the March 11, 2012 election of mayors and deputies, that 52% of respondents favored the selection of presidential candidates by the members of each party. [i] Only 22% favored the selection of candidates by the party leadership. This desire of the electorate for political equality is an expression of more than a century of struggle for freedom and democracy. From now on, the stakes are high. Given recent voting patterns across El Salvador, including a relatively low voter turnout, it is likely that political parties that fail to reflect the views and values of their constituents will be unable to address the authentic concerns of their base and risk losing at the ballot box in the big presidential campaign of 2014. [ii] This essay will focus on the left-wing Frente Farabundo Martí para la Liberación Nacional (FMLN) and the breach that has opened between the party leadership and a significant segment of its base since 2006, when the party moved from electoral primaries to a more closed candidate selection process. On March 15, 2009, the election of FMLN candidate Mauricio Funes as President of El Salvador broke a twenty year hold on the executive branch by the right-wing Alianza Republicana Nacionalista (ARENA). Although Funes himself was not a party member, his candidacy helped the FMLN ticket build a winning coalition of left, center left, and independent voters. In just three years, the FMLN, in cooperation with other parties, has made significant gains in the areas of health care, education, childhood nutrition, pensions, and tax reform. These gains are essential features of what the FMLN 2009 presidential campaign referred to as el cambio (the change). To be sure, the election was not a huge set back for the FMLN; today, no party has a legislative majority. As the magazine NACLA points out, “ARENA garnered 39.88% of the vote while the FMLN received 36.87%,” which is not a great overall margin of victory. [iv] Also, the FMLN President Mauricio Funes still has two years left in his term. So between now and the 2014 elections it will still be possible, though more difficult, for the FMLN to continue social investment and economic reforms by building coalitions with other smaller parties in the legislature. Looking beyond the end of Funes’ term, if the base of the FMLN party fails to be energized and united in the coming months it will be hard to mount an effective and winning presidential campaign against the other major political party, ARENA. ARENA has had its own share of internal problems. ARENA suffered a split in October of 2009, giving rise to a new right-wing party, Gran Alianza por la Unidad Nacional (GANA). This split, however, did not prevent ARENA from gaining ground in the March 2012 elections, even in some traditionally FMLN municipalities (e.g. Soyapango, Apopa, and Mejicanos). It is also politically significant that the ARENA mayoral incumbent, Norman Quijano, won 63.3% percent of the vote in the capital city of San Salvador, while the FMLN candidate Jorge Schafik Handal received only 32.9% of the vote. [v] These statistics puts Quijano in a good position to become a formidable presidential candidate for ARENA, a position for which he has already expressed interest. [vi] How GANA, which won eleven seats in the legislature, will impact the presidential election, cannot yet be predicted with any confidence. Moreover, it is still too early to make any empirically informed projections about the 2014 presidential election. It is interesting to note, however, that the recent La Prensa Grafica Datos survey (above) indicates that the FMLN and ARENA, as political parties, are at this time statistically tied in the race for president. In a close race, the selection of compelling candidates becomes ever more important. In light of the electoral set-back in March 2012, the loss of enthusiasm of part of its electoral base, and what is promising to be a close race in 2014, the FMLN leadership has entered a period of self-evaluation. [vii] In the coming weeks we will see if this self-evaluation by the FMLN leadership and the attempt of the FMLN’s base to reach out to the leadership will result in a broad and transparent consultative process within the party. [viii] There is still time to close the breach. Perhaps one measure of progress in this area will be the degree to which the FMLN leadership takes into account the ‘Oscar Ortiz for President Movement’ as well as other proposals from its base for its roster of possible candidates for President. Has the FMLN leadership already decided on their presidential candidate? On April 13, La Prensa Grafica reported that according to some sources within the FMLN leadership, the current Vice President and Minister of Education, Salvador Sánchez Cerén, has already been ‘designated’ as the party’s candidate for the 2014 presidential elections. FMLN spokesman Roberto Lorenzana, however, has denied that a final decision had been taken, and maintains that there are a number of candidates under consideration. Lorenzana’s denial is consistent with other sources within the FMLN, which assert that a final decision has not been made, and that there are a number of other candidates being considered, including the Minister of Foreign Affairs, Hugo Martínez; the president of the Legislative Assembly, Sigfrido Reyes; and the Mayor of Santa Tecla, Óscar Ortiz. [x] Moreover, Lorenzana has acknowledged the open letter and indicated that Ortiz was among those being considered for the candidacy. [xi] The debate over whether the issue has already been decided, however, continues to be aired in Salvadoran news media and has intensified since the publication of the open letter. Why does the open letter matter? The open letter is an expression of transnational activism. The Salvadoran diaspora has remained involved in the political life of the nation since the early 1980’s when, due to the country’s decade long civil war, more than 20% of the population was internally displaced or fled the country. Others emigrated after the war ended, but remained connected to their roots. The involvement of the diaspora goes beyond the often mentioned remittances they send back home. 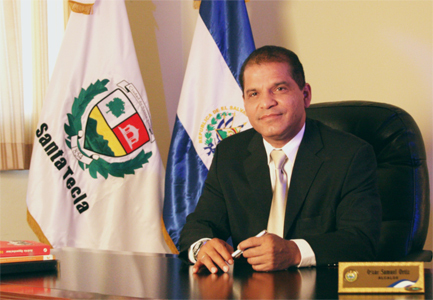 There are numerous Salvadoran associations in the United States dedicated to helping their native towns and several sister city programs that link US cities and counties to one or more counterparts in El Salvador. Many of these Salvadorans have also been in open solidarity with the process of el cambio while building new lives elsewhere. For this reason the open letter carries weight with compatriots back home; indeed, the campaign trail of FMLN presidential hopefuls traditionally includes stops in Washington, New York, Los Angeles and other cities in the United States. Since it is the ‘Oscar Ortiz for President Movement’ that elevated the internal party selection process to national prominence, it is worthwhile to offer a brief profile of Ortiz. Oscar Ortiz has been part of the process of el cambio in El Salvador since he was a young adult, joining the Secondary School Revolutionary Student Movement (MERS) at age sixteen, in 1977. During the civil war, Ortiz was involved in the trade union movement and fought in the FMLN’s Eastern Front. He lost two brothers (one was declared “disappeared” by the National Guard in 1979, and the was other shot in an army ambush in 1980); his compañera was also killed during this period. Ortiz was wounded in 1984, and after recuperating, returned to the ranks of the FMLN. Upon the signing of the peace accords in 1992, the FMLN became a legal political party. Oscar Ortiz was among the first FMLN deputies elected to the National Assembly in 1994, where he served until being elected Mayor of Santa Tecla in 2000. As its Mayor, Ortiz has practiced an inclusive management style in the planning and implementation of many of the community’s programs. He has also become a figure of national prominence, in part because of his record as Mayor. Based on published interviews and Oscar Ortiz’ own practice, it appears that he is committed to social rights and participatory democracy. [xii] The motto of the Santa Tecla city government is “participating, united, for local development.” This means that all residents may participate in the municipal strategic planning process (PEP) through neighborhood committees, sector-based associations, and the citizen’s assembly. This inclusive leadership style has proven effective not only in the operations of the city, but also in dealing with natural disasters. After an earthquake and mudslide devastated the city in January of 2001, Ortiz mobilized the community to respond to the short term needs of the victims. He also tenaciously implemented a 10-year reconstruction plan, helping to develop what is now widely recognized as a model municipality in El Salvador. 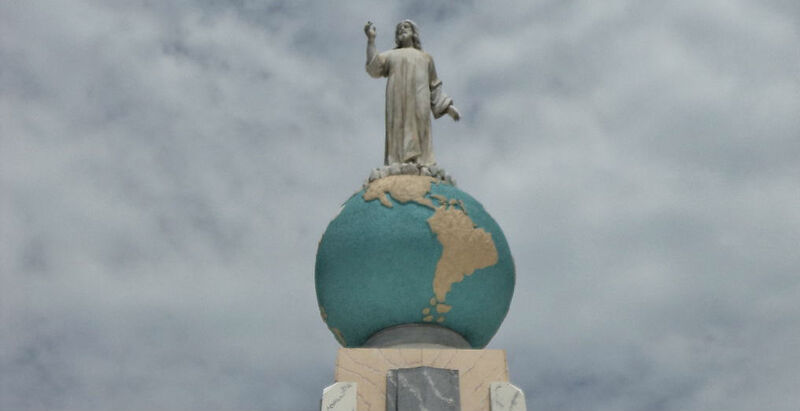 [xiii] It is especially relevant to the electorate that Ortiz has made public security a top priority, resulting in the reduction of crime and the recognition of Santa Tecla’s security measures, both nationally and by U.S. donors, as a model for other cities in El Salvador. [xiv] In the March 11, 2012 municipal elections, he easily won a fifth term by a margin of more than 15,000 votes. 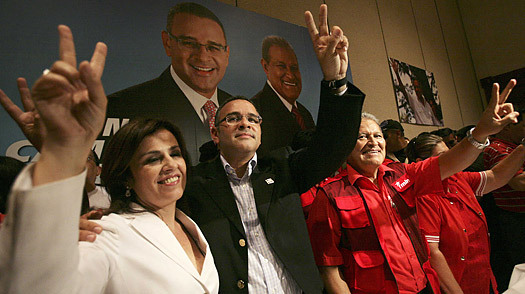 “I hope and I trust that our party, the FMLN, will have the most open process possible, the most democratic process possible, because I believe that we have the conditions to accomplish this.” [Author’s unofficial English translation] With regard to process, the party leadership insists that it is following party statutes concerning the selection of candidates and that at some point a candidate will be presented to the FMLN National Convention for an up or down vote. The open letter and similar efforts to address the internal decision making processes of the FMLN raise two fundamental questions of the moment for the left in El Salvador: how seriously is the FMLN leadership willing to take the appeal from its base for more democracy within the party, and will there be a transparent consultative process by which a candidate for president will be selected? The continuation of the process of el cambio depends on promptly closing the breach within the party, and building on the gains of the past three years. A divided left would arguably result in a return to the neo-liberal policies of the past, and a curtailment of the movement toward social and economic justice. To view sources please click here.